Set of 10 Sleep-In rollers with draw-string presentation bag. 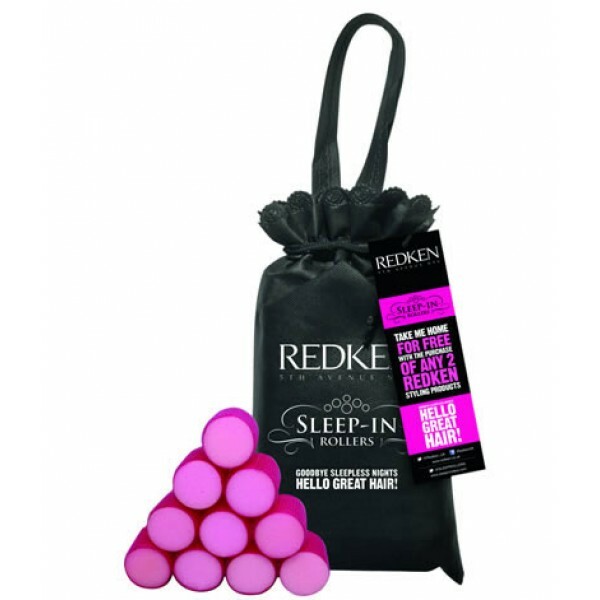 These rollers in funky pink are designed to flatten like a sponge when you lay down your head, meaning that you can sleep comfortably and wake up in the morning with luscious locks. Complete with an easy guide to the perfect application which will give you amazing results, these rollers ensure your hair is lifted from the roots and boasts fuller volume all day. Presented in a black Sleep-In-Rollers drawstring bag for easy storage and for those on the go, this set contains 10 rollers that will have you wondering how on earth you ever coped without them!